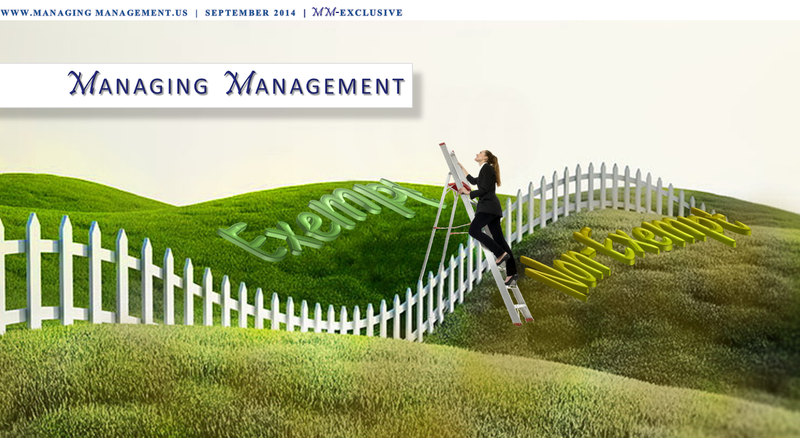 Managing Management: Is the Salary Really Greener on the Other Side of the Fence? As a department head and an HR professional, one of the most frustrating, yet all too common questions I’ve gotten from managers is the casual request to switch one of their employees from hourly (non-exempt) to salaried (exempt). Although often used interchangeably, “salaried” and “exempt” are not the same thing, just as “hourly” and “non-exempt” are not the same. For the purposes of this example, the terms will be used to convey the common concepts – a more detailed clarification appears at the end of the article. 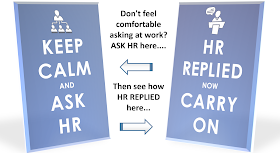 Now, many managers (even many reading this) don’t understand why that simple request could lead to a frustrating exchange with human resources (“… isn’t there just a form or something? …a payroll switch to click?) Of course, management pros know exactly where this dialogue is headed. Team Supervisor: Hey, you got a minute? Human Resources: Sure, have a seat. TS: (remaining standing) I just wanted to put in for Diane to go from hourly to salary. What do I need to do to make that happen? HR: Oh ... are you promoting her to that floor manager job? TS: No, no. We’re actually putting that on hold. I just want to make her salaried. TS: No, no, no. Same job, I just want to change her classification. HR: I don’t understand. If you didn’t change her job and you didn’t change her scope of work or responsibilities, what’s prompting the need to change her pay classification? TS: Well, I’m just tired of trying to work around the over-time thing. Our department is really busy right now but if I let her work over-time, we go over budget. If I make her go home, we get behind. She’s willing to put in the extra hours, I just can’t afford the extra pay. So if we make her salaried – problem solved, right? let me just make sure I heard you correctly. You’ve got a high performing employee that you rely on heavily for a high volume of work, right? HR: And since your goal in this move is to stay within budget… what is she making now? TS: She’s at $10.50 an hour and I’ve only budgeted for 40 hours a week so her weekly salary would come out to… what, $420 per week? HR: You’re suggesting her new salary to be $420 per week? HR: So you have a top performer whose hard work and dedication you would like to reward by increasing her hours and cutting her pay. HR: --don’t you think she’s going to look at it like that? …like your “thanks” for her willingness to put in the extra time to get the job done is to cheat her out of her overtime pay? TS: Look, (finally sitting) I’m just trying to figure out how to get the job done and stay within budget. How would you suggest I do that? HR: Now if you had started with that question, we could have skipped ahead to the part where I help you solve your problem. So how many red flags did you catch in that exchange? Communication styles aside, I count five. If you found less than five, quickly go back and review the scenario before reading on. lack of understanding that this is a regulatory issue, not a matter of choice, 2) the employee’s current pay level is too low to qualify for exemption, 3) the supervisor missing the “big picture” on the impact of the request, 4) taking advantage of or unfair treatment of the employee, and 5) lack of adequate training for the supervisor. Whether an employee qualifies for an “Exempt” status (meaning the employer is exempt from having to pay them overtime, referred to as “salaried” above) is determined by the regulations and definitions set forth by Department of Labor (DOL) through the Fair Labor Standards Act (FLSA). Although your HR staff are likely the most knowledgeable people in the organization about those regulations and are charged with interpreting and applying those regulations to the situations within the organization, they don’t actually have any control over those laws. Frankly, they may not even agree with some of the laws they are responsible to ensure the company complies with, but it’s their job nonetheless. They’re really not trying to make your life difficult, I promise. They’re trying to keep their company out of court. Although the HR person asked whether the employee was being promoted to an identified manager job, we’re going to assume that HR already know the manager job had been correctly classified as exempt based on an evaluation of the scope of work as compared to the FLSA definitions. But it is not a “given” that a job with a management title actually qualifies as exempt. It’s not uncommon for supervisors to think they can give an employee a “manager” title so they can convert them from hourly/non-exempt to salaried/exempt, but it just doesn’t work that way. The reason the HR person asked the questions about the promotion and whether the scope of work or responsibilities had changed is because under the FLSA, the qualification for the overtime exemption is determined by the duties and scope of responsibilities as they define it, not by how the company, the supervisor or even HR may be defining it. While the employee’s job should be evaluated on its own merits to see if it qualifies for exemption, it’s generally safe to assume that, if the job was properly classified yesterday as non-exempt (hourly) and today the job is essentially the same, then today it’s still going to be classified as non-exempt. Part one: The duties test - The full regulations are filled with little exceptions and caveats, but the three main exemption categories that the general population of employees/jobs are going to be evaluated through are Executive, Administrative and Professional. Depending on the nature of your organization, the other two main categories (Computer and Outside Sales) may also apply. The DOL has a very handy tool on their website (http://www.dol.gov/elaws/overtime.htm) to help guide you through determining if a position qualifies for an exemption, but here is my very basic, not-all-inclusive, hot-list that you can use as a barometer. You must be able to say “Yes” to all of the questions in a given category. If you answer “No” to any of the questions then, odds are, your request for exempt status will not be met with favor. ▪ Is the primary duty to manage (versus executing tasks themselves)? ▪ Do they oversee a customarily recognized department/division (versus something made up just to give them something to be in charge of)? ▪ Is the primary duty to perform office/non-manual work? ▪ Are the primary duties predominantly intellectual in character, requiring the consistent exercise of discretion and judgment? ▪ Are the primary duties predominantly creative in nature, requiring invention, imagination, originality or talent in a recognized artistic field? Qualifying for exempt status is actually a two-part test - don’t worry, this second part is much easier. No complicated interpretation required, just simple math: the weekly pay (salary) must meet a minimum threshold set by the DOL, currently $455 per week. In our scenario, Diane’s regular weekly equivalent was $420 per week. Even if she had new responsibilities that qualified for the exemption, the “budgeted” pay of $420 per week doesn’t meet the standard and would have to be increased to $455. That’s an additional $1820 per year. The question the supervisor needs to answer next is, over the course of the next year, would Diane put in more than 116 hours of overtime? ($10.50 x 1 ½ x 116hrs=$1827) If the answer is yes, then (mathematically) it would be cheaper to make Diane salaried. If the answer is no, then he would be better off to keep her working on an hourly basis, even with the overtime expense. The supervisor’s solution to what may be a small or short term expense problem could actually lead to a few larger, long-term problems that are all, directly or indirectly, bigger expense issues. We’ve already determined that to meet the minimum pay threshold for exempt status, Diane’s base pay would have to be increased by $1820 per year. That’s a long term fixed expense increase versus the variable nature of overtime which, if necessary, can still be stopped if you accept that the work is going to slide. Additionally, come review time, Diane’s performance increase is now going to be calculated on a higher base wage than if the supervisor had just kept her as an hourly employee. Since she is a star performer, let’s say she would be in the 5% category. Her hourly rate of $10.50 would increase to $11.03, but her salary of $455 per week would increase to $477.75 (about 7% more annually). Of course, when Diane realizes that she’s now working more hours but earning less money, she will get frustrated, disengaged and eventually quit. The lost productivity during her disengagement period, the inevitable vacancy, and training period of the new hire, will cost the company multitudes more than the couple thousand dollars of overtime wages the supervisor didn’t want to pay her. In the first 11 years of tweaking this new exemption concept (1938-1949), the national minimum hourly wage was adjusted twice and the minimum weekly exempt pay was adjusted twice to reach its peak differential of 470%. It was all downhill from there. Over the next 64 years (1950-2014) it would seem that the spirit of maintaining a substantial differential was lost in the bureaucratic shuffle as the minimum hourly wage was adjusted 21 times (currently $7.25) yet the weekly salary threshold was only adjusted 5 times (currently $455) making our current differential 157% (although our lowest point was in 1997 when the differential was 83%). If the adjustments in the minimum salary threshold had kept pace with growth in the minimum hourly wage, today, the weekly minimum salary for exempt positions would now be $870 (nearly double). Recognizing that, at the low weekly wage of $455, an exempt employee who puts in more than 63 hours in a given week (not uncommon in some industries) would actually be making less than minimum wage for their time worked, President Obama signed a memorandum on March 13, 2014 that will start the ball rolling on a much needed overhaul of the FLSA, including the need to widen that differential which would ensure a greater number of workers would either receive overtime wages for hours worked over 40, or when moving to a salary/exempt position their exempt salary would be substantially higher and better compensate for the excess hours that exempt employees regularly work. The greatest expense, however, will be in the wage-and-hour law suit that Diane files when she realizes that she’s been misclassified as salaried/exempt in an attempt to cheat her out of her overtime pay and wins a settlement amount of a couple million dollars. Think that’s an exaggeration? According to a recent study from NERA Economic Consulting, the average settlement paid out by an employer hit with a wage-and-hour claim was $4.5 million. Overtime violations make up 45% of all wage-and-hour claims. Paying out $2000 for a little OT is starting to look pretty good right now, isn’t it? It’s called the ( What? ) Labor Standards Act? FAIR. The word you’re looking for there is fair. In the scenario above, our supervisor was more concerned about the budget than with the employee’s fair treatment. In reality, he has a responsibility to both, so finding the right balance between fair and reasonable is the key. And, of course, federal regulations always hold the trump card. Back in 1938 when this concept of an creating an exemption from paying overtime to a qualified group of employees was developed, the differential they established between the minimum non-exempt hourly rate and the minimum exempt weekly salary was 300%. Meaning, the minimum salary was 300% higher than the minimum hourly rate. They created the duties tests to make sure it wasn’t just going to be applied to everyone, but the whole point of establishing a minimum salary was to protect an employee from being taken advantage of by “management.” Protecting the employee who is being asked to take on the greater responsibility of management from experiencing a negative financial impact when moving from hourly pay with overtime to a fixed weekly salary, regardless of how many additional hours it takes to get the job done. Otherwise, companies might have done just exactly what our supervisor tried to do with Diane’s pay. All of the first four flags could have been avoided if the company had provided adequate management training to supervisors, giving them a basic understanding of the FLSA (and other employment laws) as it applies to the people they manage. When an employee makes that first transition into supervision, there’s no way for them to know what they need to learn. It’s the responsibility of the human resources department and the new supervisor’s manager to proactively prepare a learning track that give them the knowledge they need to make good decisions for both the company and the employees they manage. Not every HR department or organization has the internal resources to provide the training and coaching managers need to be successful. There are many inexpensive, off-the-shelf training resources available these days and outsourced, custom training programs can be quite affordable as well. Add Managing Management to your training resources by subscribing below or email for pricing on custom development programs. The terms Exempt and Non-Exempt refer to the classifications, defined by the DOL under the FLSA, determining whether or not a job might be Exempt from the requirement to pay an employee at a time-and-a-half rate for any hours over 40 worked in a given week. Those classifications are somewhat independent from the decision to pay someone on an hourly or salary basis. To designate a position as hourly, the employer is agreeing to pay an employee for each hour they perform work, regardless of the number of hours that is. To designate a position as salaried, the employer is agreeing to pay a fixed weekly amount to the employee, regardless of the number of hours worked. This fixed weekly amount, however, comes with many caveats and serves as a minimum, not necessarily a maximum amount. For simplicity’s sake, it is most common for employer to classify positions as salaried/exempt or hourly/non-exempt. However, there are no restrictions that would prohibit an employer from paying an employee whose position qualifies as exempt, on an hourly basis. If the employee worked 38 hours, the employer would only have to pay the employee for 38 hours. Likewise, if they work 42 hours, they must be paid for the 42 hours but the additional 2 hours can be paid at the regular rate since they are exempt from the time-and-a half requirement. There are several industries where this kind of classification makes sense to use but is still less common than the two classic combinations. It is just as permissible but far less common for an employer should choose to pay a non-exempt employee on a salaried basis, the employee would be paid the fixed weekly amount as a minimum. If they worked 34 hours, the full salaried amount must be paid to the employee, without reductions for the missed hours. Conversely, if the non-exempt/salaried employee works more than 40 hours, they must be paid the equivalent of their hourly rate at time-and-a-half pay for each hour over 40. There are very few advantages to classifying a position this way.